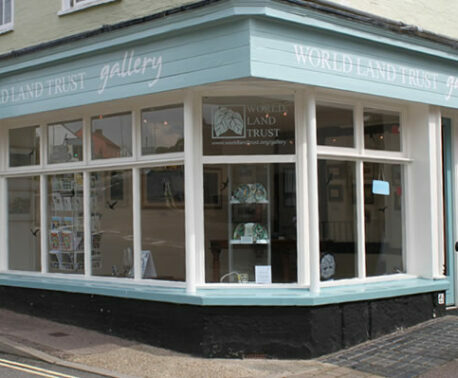 A new exhibition at World Land Trust gallery in Halesworth celebrates the hare in spring time. Today we associate eggs and bunnies with Easter, but in fact the tradition dates back to the pre-Christian period when hares (not rabbits) were thought to lay eggs! The shallow hollows or ‘forms’ used by hares to rest and rear their young are similar to the nests of ground nesting birds such as lapwings and plovers, which are commonly found on open grassland or arable farmland. Due to this similarity, people would sometimes find eggs in what looked like hare forms! This gave rise to the belief that hares laid eggs in spring, and explains Pagan myths about mysterious egg-laying hares. The hare was a common motif in medieval church art, and remains enduringly popular today. The exhibition March Hares & Easter Eggs celebrates the popular Brown Hare – still a familiar sight in the Suffolk countryside – along with beautifully painted depictions of birds’ eggs and nests. World Land Trust (WLT) is an international conservation charity that takes direct action to save rainforest and other wildlife habitats. WLT gallery reflects the Trust’s concern for conservation and the environment. 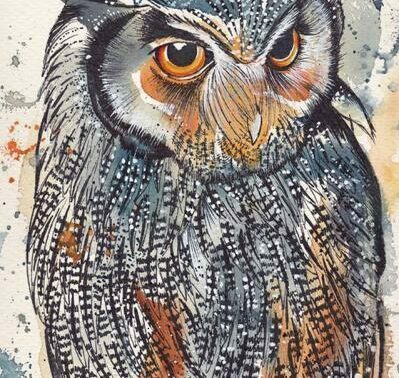 A wide range of wildlife and landscape art is on display, much of which is created by artists working in East Anglia. The themes of the exhibitions also serve as a reminder that wildlife and natural landscapes in the UK are under threat. Intensive farming, destruction of habitat and urban growth all have far-reaching effects on wildlife. The Brown Hare – our most poignant symbol of spring – is now in major decline. So too are many of the most common British birds. Artists contributing to this exhibition include Jan Adgie, Kate and Hannah Breach, Marie Brown, David Cemmick, Leo du Feu, Yvonne Forster, Ian Griffiths, Jan Houchen, Izzy Hutchison, Yvonne Lamden Cooper, Sharon McMullin, Andrew Pitt, Lesley Pyke, Susan Smith, Mary Woodin and Jonathan Yule. Matt Duran’s dramatic beehive sculpture made of glass is also on display in the gallery until 2 April.